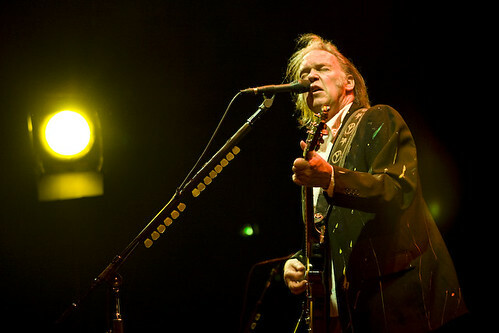 Neil Young’s collection of vintage cars and other memorabilia were unfortunately caught up in a warehouse fire that racked up around $1 million dollars in damages. Mark Ronson seems to be popping up everywhere in the news these days, most recently he’s been at work with The Black Lips on their new record due out April 5th, 2011. We love us some Merge Records around these parts, so it’s always good news when the label announces new records. The latest record is the new full-length 12 Desperate Straight Lines from power-poppers Telekenisis. I thought their debut LP was ultra-catchy and tons of fun, so here’s hoping the next one is just as good. The album comes out February 15th. Pre-orders are available now. Speaking of Merge Records, today you can download Superchunk’s excellent come-back record Majesty Shredding for only $3.99 on Amazon. If you haven’t heard this record yet, it rocks hard! Grab it while it’s cheap! …And You Will Know Us From The Trail Of Dead have also announced an upcoming record called Tao Of The Dead due out on February 8th. The album will also include an accompanying comic book, according to the bands blog. Photo via Flickr/Creative Commons, User Ylefipop.